As teachers log student progress on the grading sheet, they can better track student progress and provide them with more opportunities for practice when needed. We offer online payment by credit or debit cards and mail-in orders. School districts may download the order form for pricing and submit their order by email or postal service. When mailing orders, please include a copy of your Illinois Tax Exempt Status letter. Illinois tax regulations prohibit the use of an organization tax exempt number for individual/personal purchases. Due to the reproducible nature of our publications, all sales are final. If materials are damaged upon receipt, replacement books will be sent at no cost. Prior to sending the replacements, the damaged items must be returned. Please notify READ en Español, Inc of damaged materials within 5 business days of delivery. I got this workbook for my son and he absolutely loves it. He understands spoken Spanish but now has shown a lot of interest in reading Spanish. I recommend it 100%. How great that you can link the spoken word to beginning skills in reading and writing for your son! I am a second grade dual language teacher and this book of activities has been so useful for my small intervention group and for my whole class. The kids are engaged, challenged, and excited about learning Spanish! Thanks for letting us know how motivated your students are when using the book! 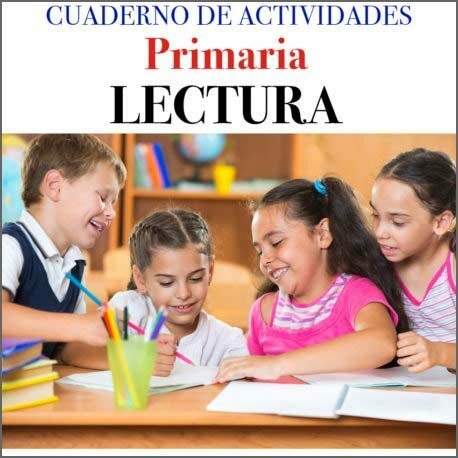 The Cuaderno de Actividades has been a great supplement for learners in our second grade bilingual class. It has been particularly beneficial for our bilingual special education students.